The Global Forest Coalition, in partnership with host Community Conservation Resilience Initiative (CCRI) institutions in selected countries, organised three national workshops on CCRI in Africa at the beginning of 2017. 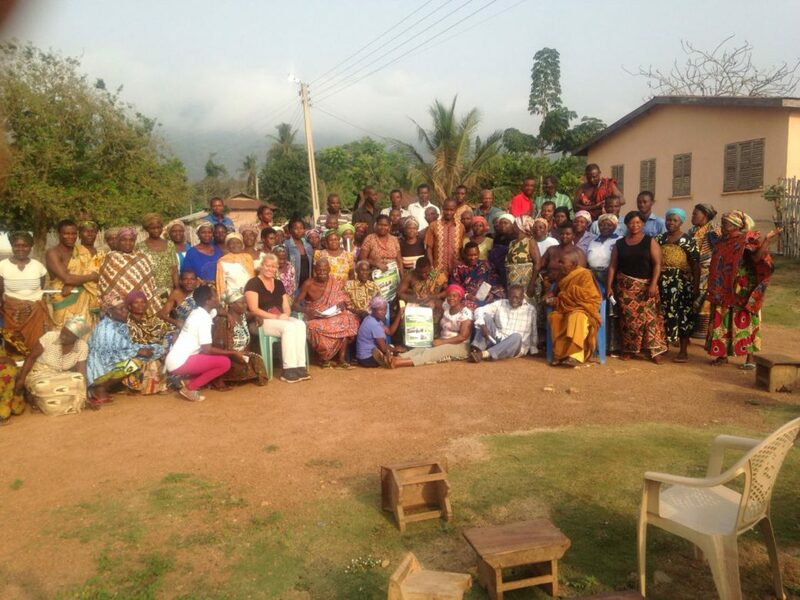 In Tanzania the workshop was hosted by Envirocare (26-27 January), in Democratic Republic of Congo by PIDP (Shirika wa Bambuti) (1-2 February), and in Ghana by The Development Institute (9-10 February). They were attended by the host CCRI communities, academia, civil society organisations, women’s groups, and in two out of the three, government representatives. The main objective of the meetings was to introduce the CCRI methodology to organisations and earmarked stakeholders, enabling them to learn how to conduct CCRI in communities so that those communities can themselves analyse the political, social and legal challenges that affect their ability to manage bio-cultural resources in their respective territories. 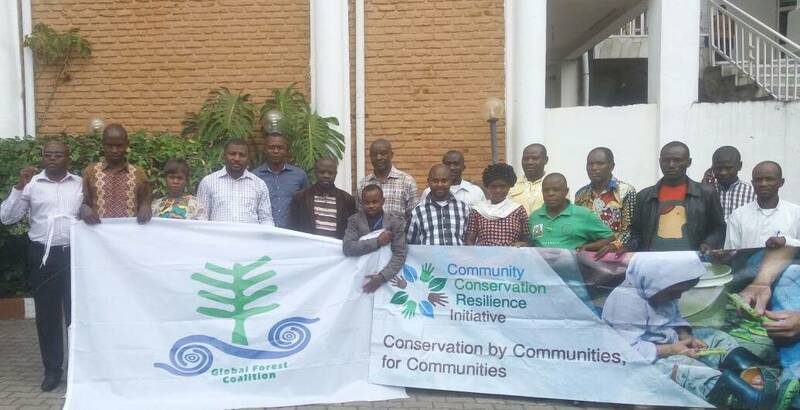 In Tanzania, over 30 participants attended the meeting, including community members from Kahe and Siha who are currently performing a participatory assessment of the resilience of their conservation initiatives. They explained that both communities depend for their water resources on the rivers that stream from nearby Kilimanjaro Mountain, but due to climate change there is a dramatic decline of the Kilimanjaro snowcap that is the source of this water. 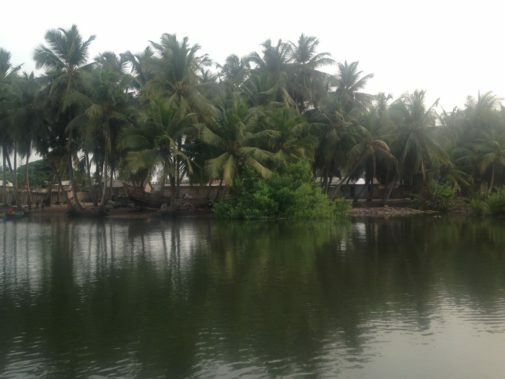 In addition the communities noted that people-driven activities in nearby forested areas and wetlands have caused the local climate to change. 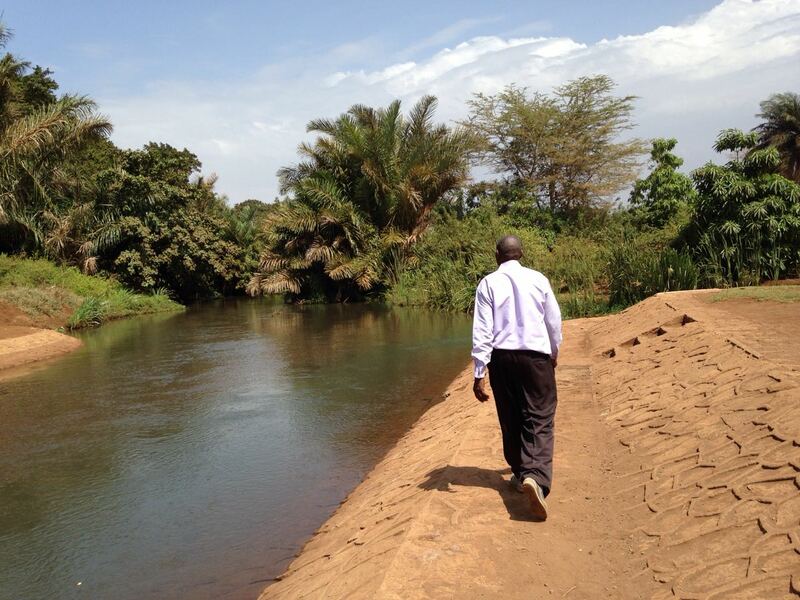 As a result, both communities are facing droughts, food shortages and conflict over the remaining water resources. The communities recognised that trees and other vegetation play a key role in enhancing their remaining water resources. They decided that current forest and water conservation and restoration initiatives should be strengthened to enhance the overall resilience of the local communities and their traditional agriculture and livestock production practices, and to improve their livelihoods. In Congo, over 20 participants attended the meeting, including the Bambuti indigenous community representatives from Kisimba Kyamakasa forest communities. They indicated that they had started on a participatory assessment of the resilience of their conservation initiatives, and had depicted their way of living in the forest in a video documentary. The communities where CCRI/A is going to be conducted in the DRC are: Banama Longa, Bana Mukomo,Banaka Mughogho all in Bambuti Babuluko region. The indigenous communities have lived in and used the forested land sustainably for a long time but the government keeps threatening to evict them, “yet the forest is our life”. The government collects revenues, but the indigenous communities don’t get returns from tourism and concessions which are given to investors. The government has not built schools and education is hindered. Their biodiversity is threatened by investment activities, as evidenced by bird and animal species that have disappeared. The communities’ livelihoods are entirely dependent on forest bio-cultural resources. Their climate has changed due to increased degradation of natural forests. Their areas are insecure due to rebel activities that have been there for some time. Deforestation is further exacerbated by rich people, who deliberately use the insurgency situation to exploit resources. Their prayer is that the government should consider the Bambuti as original inhabitants of those forests hence recognising them as the true owners with the authority to manage the forest without interference. On top of their own security, the government should beef up security and protect them from intruders especially resource grabbers. Avu Lagoon, which is part of the Keta Lagoon Complex Ramsar Site (KLCRS) and is one of the few fresh water lagoons in the KLCRS. The area covers coastal savannah and wetlands, and is a site for migratory birds. It is also the only site for Sitatunga (amphibian antelopes) in Ghana. In Kpoeta,which is located elsewhere, in the Northern part of Ho West district, the community had already started performing a participatory assessment of the resilience of their conservation initiatives. Communities in Avu Lagoon depend on rudimental fishing activities, tourism and sustainable harvesting of mangroves for sale as firewood. The challenge is that there is high demand for firewood, which is taken to towns and this has led to degradation of the mangrove forest, which has also affected the local climate. In Kpoeta the communities realised there is need to protect their forests and conserve the existing forest water catchment areas. This is because these forests enhance the local climate from which the beautiful Tsii falls originate. Tsii falls has great aesthetic value that the community hopes will translate into tourism potential. In conclusion, the national workshops on introducing the CCRI’s participatory methodology helped communities in the three countries to understand how to go about the CCRI assessment. However, in addition to this, there was a lot of learning during the time of presentations and giving testimonies. The Community Conservation Resilience Initiative emphasises the role of culture, governance, women and other vulnerable groups in the conservation of bio-cultural resources. From the introduction to CCRI methodology and the experiences shared, it was realised that increasing climate change is exacerbated by human activities. Members noted that change must start with communities themselves, including their mindset. Change must be ushered in by the communities, where conservation should be by communities for communities. The full report of the planned CCRI assessments will be made available in 2018.